The Boston Seaport is constantly growing and evolving. As a result, many people are flocking to the area as a place to relocate or hang out for the weekend. 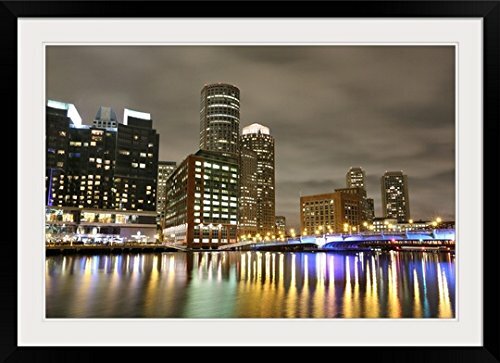 Whether you’re planning a long or short term stay in the Boston Seaport, chances are you’re going to want to get out and enjoy a night on the town at one of the Boston Seaport bars. The good news is, the Boston Seaport has plenty of bars to choose from. The bad news is, having lots of choices can be overwhelming. Fortunately, we’ve narrowed it down a bit, so you can just focus on enjoying your favorite drinks. Keep reading to learn about 5 Boston Seaport bars you need to visit. Now known as the highest rooftop bar in all of Boston, Sky Lounge and Rooftop Terrace promises to provide its guests with a good time. The bar is located on the 12th floor of the Yotel Hotel which means you’ll be able to take in beautiful views of the city. The atmosphere is casual and the drinks are fairly priced. Keep in mind though, because this bar’s popularity is growing, you can expect to see a bit of a line on the weekends. If you’re a fan of rooftop bars, Lookout is a location you’ll definitely want to check out. This venue offers impressive views and a cool and upbeat atmosphere that is great for almost any occasion. Although winters in Boston can be painfully cold, Lookout Rooftop Bar provides heated igloos which allow people to enjoy the rooftop even when the weather isn’t warm. Nothing beats the combination of great food and great drinks, and that’s exactly what Row 34 has to offer. This location offers lots of delicious food options as well as a full bar with lots of beer selections on tap. Many customers have commented on the top-notch customer service, but they have also noted that both the bar and the restaurant can get very crowded during peak times. With a name like Drink, you can certainly expect that the drinks will be on point. With a menu-less approach, customers can place specific orders or give bartenders an idea of what they might want. Drink is also known for its fun and hip atmosphere, with one customer stating that it is the “most memorable” bar she’s ever visited. You can’t talk about Boston Seaport bars without mentioning this place. Lucky’s Lounge is the perfect place to grab a drink with co-workers after a long day of work, or to hang out with friends on a Friday or Saturday night. This location boasts a laid back atmosphere and features a full food menu as well as a full drink menu – both with good prices. Lucky’s also regularly has live entertainment. One of the things that many people seem to appreciate about Lucky’s is that even with the increasing popularity of the Seaport area, this bar has remained itself.